Oh that was a long comment. Sorry for the rant, but I like this card. I don’t think this is overpowered. If you are extremely lucky, you can kill an entire board of cheap tokens, but 3 damage AoE is worth around 5-6 mana. Two of the targets are only taking two damage, but one takes five, so that is sort of on average an upside, but probably worse than just 3 damage to all enemies because you can’t target, and the Deadly Shot is just an added bonus that will usually not do anything broken. 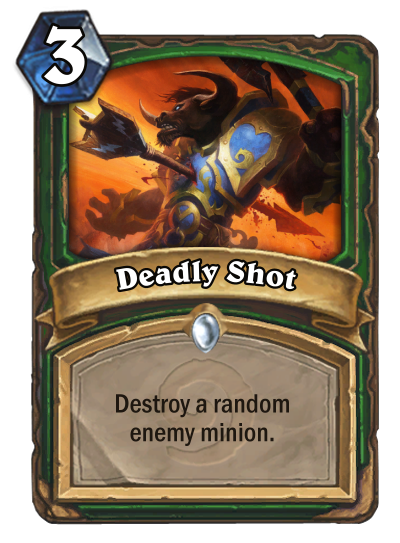 Against token boards, Deadly Shot is usually just 2-3 damage anyway. The best case scenario against a token board isn’t that good for a 10 mana effect, much less OP. Against a board with, say, 1-3 big minions, you could, assuming the order they are cast is how they are written, very likely in the case of 3 minions, deal 3 damage to two of them, destroy one of the damaged ones wasting 3 damage, and then either Explosive Shot the undamaged one for 5 damage to each or the damaged one for 8 damage to one and 2 damage to the other one. 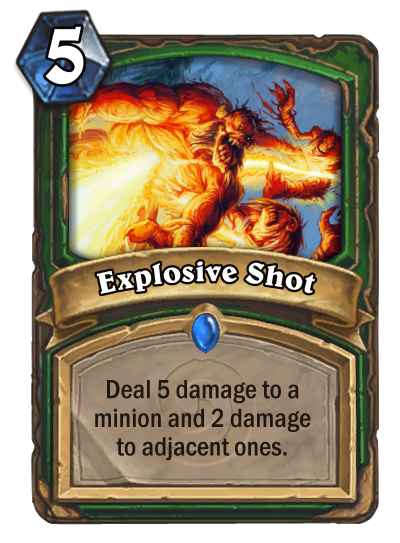 That would probably be enough to kill 2/3 big minions in the case of 8 damage to one, and heavily damage them in the other case. Not very overpowered for a 10 mana effect, compared to Crushing Walls. 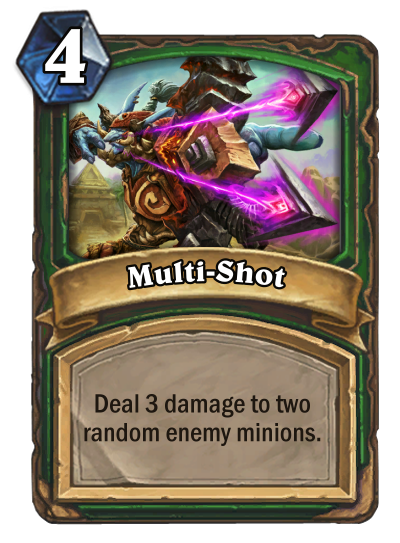 For just 1 minion, it casts Deadly Shot, for 2 minions, it destroys one and deals 8 damage to the other. Not overpowered against a small board of big minions. Against 4-7 big minions, you have already died, so you don’t need to worry about how well it works. It is a good idea but it is both overcosted and OP. 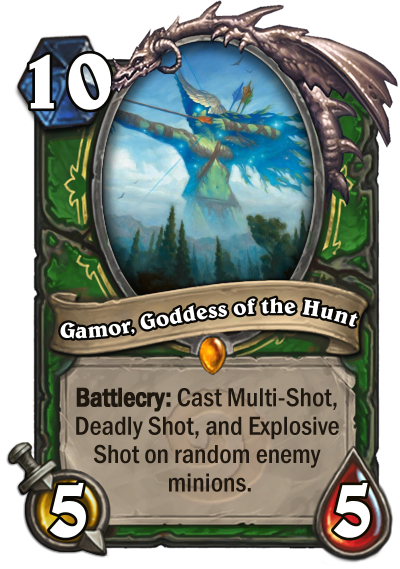 The effect is too strong for its cost but the cost is too high to make it that much of a good card, especially for Hunter who probably isn't that much about tempo especially late game.